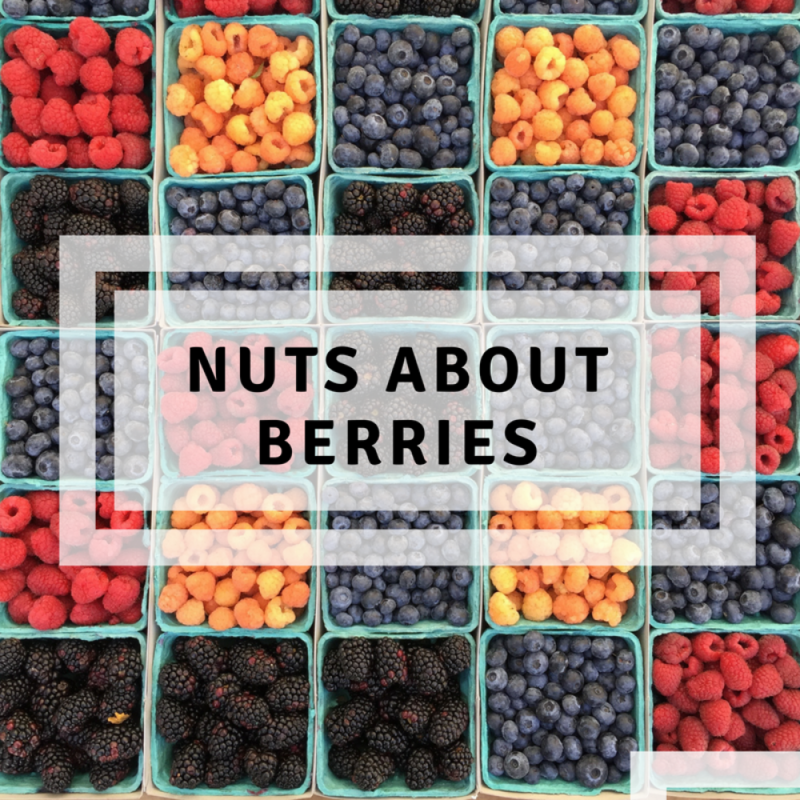 Local berries are abundant at this time of year; beautiful and plump strawberries, sweet and succulent raspberries, and juicy and irresistible blueberries steal the show in any dish. But did you know that our terroir produces many other berries that are just as tasty? I invite you to get to know four of these little-known fruits. Enjoy the journey! The saskatoon berry is a small round red berry that turns purple and dark blue over time. Both sweet and tart, its flavour is described as a cross between blueberries and almonds. The darker the colour, the sweeter the berry! Like other berries, the saskatoon berry is delicious as is (with cereal or yogurt, in green salads) as well as cooked (in muffins, clafoutis, jams, sauces). The best way to enjoy these berries are at their best is to visit local producers and pick them yourself. Or, you may sometimes find fresh berries at public markets or frozen berries in some specialty stores. When I was young, we had currant (groseille in French) plants in the garden. Given our family name, how could we not! I loved to play hide and seek near these bushes. Currants are very eye-catching because they’re small and grow in clusters. While redcurrants are common, white (my favourite) and pink currants also exist. Since currants are quite sour, they’re a bit of an acquired taste. They are delicious as is, served as a snack with yogurt or added to any green salad. Currants also make excellent jams and jellies. As with saskatoon berries, they’re available in some public markets or can be picked until early August, depending on the variety. While you may know strawberries well, you should get to know the Charlotte strawberry, marketed by Les Artisans des saveurs. The heart-shaped Charlotte is the ultimate strawberry; it even tastes like the wild strawberries of our childhood. You’re guaranteed to fall in love with it! Discover it today. To learn more about berries and discover delightful recipes, I recommend these two new books: Sous le charme des petits fruits by Louise Gagnon (Groupe Modus) and Ah, les fraises et les framboises by Caroline Dostie (Parfum d’encre).